Rohan Mehra is a famous actor of Indian television and he is also known for his modelling skills. He is mainly famous for his role in the famous TV serial of India named Yeh Rishta Kya Kehlata Hai. He plays the role of Naksh in the TV series and he is the son of the lead character in the show. He made his debut in Indian Television in 2012 and he has earned a lot fame for his superb acting and modelling skills. 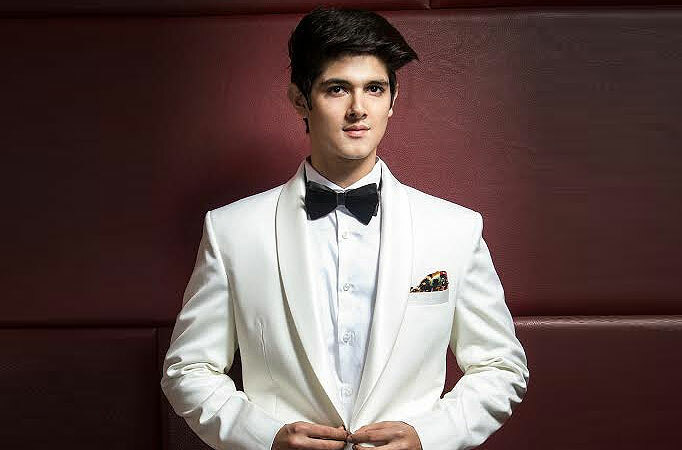 Rohan Mehra is undoubtedly one of the finest youngsters of Indian acting industry. Rohan Mehra was born on 8 April, 1989. He was born in Amritsar in Punjab. He completed his studies from St. George’s College and Hansraj College. The name of her mother is Rashmi Mehra. He belongs from a well-known and reputed Hindu family. The name of his girlfriend is Yukti Kapoor who is also an actress of Indian industry. Rohan Mehra made his TV debut in 2012 through a show named Gumrah: End of Innocence. He appeared on one episode of show and soon was able to attract a lot of directors and common people through his looks and awesome acting skills. After that he did modelling in several parts of India. The major breakthrough of his career was entering the famous TV serial Bade Achhe Lagte Hain. He entered the famous show in 2013 and earned a lot of fame. His active participation in the famous show opened a lot of opportunities for him. After that in the very next year in 2014, he played another episodic role in a show named Yeh Hai Aashiqui. He did a part in a reality show named Webbed 2. He was soon gaining more and more attention and finally he was able to pull of another major breakthrough as he went on to play the role of the son of the lead character in one of the most famous and long running show of India named Yeh Rishta Kya Kehlata Hai. He appeared in the show in 2015 and is an active member of the show till date. His appearance in this famous TV serial introduced him to a lot of people and opened more opportunities for him. He made his debut in Bollywood as a lead actor in 2013 with a film named “Sixteen”. He also did a film which was named Uvaa. Soon Rohan Mehra is expected to make an entrance in a major reality show named Big Boss 10. It will be a huge opportunity for the actor is this is one of the biggest reality shows of India. Rohan Mehra has already a lot of female fans and this show will obviously bring him more fans and more people will follow him through the show. This show will showcase the true personality of Rohan Mehra. Rohan Mehra has a good height of 5”11’ and his weight is also very good as he has a slim figure. His weight is 72 Kg and his body measurements are also good. Rohan Mehra is a good actor and apart from that he is also a good human being as he doesn’t drink and smoke. He was also a national level tennis player when he was a student and he has won many titles in tennis. He also loves to play cricket and enjoys travelling a lot. Currently he is linked with Kanchi Singh and it is rumored that they are in a close relationship. Rohan Mehra has won 3 awards till now and all of them are very important and major awards. He first won an award from the category of Favorite New Member of Star family in 2015. After that he went on to win two more awards from the category of Best Debutant Male & Best Debutant in Lead Role in 2015 and 2016 respectively.